ROC 59 Welcomes New Kid On Block Raufeon Stots | Lou Neglia's Ring of Combat | Next Generation of Mixed Martial Arts! One thing about Ring of Combat is it plays host to many fighters on a national and international level. And many of these fighters have gone on to the big leagues most notably, the UFC. Check their rankings and you’ll find many of their fighters have made their way to Lou Neglia’s Ring of Combat one way or the other. This brings us to ROC 59 where a new kid will make his ROC debut to the east coast fight fans. Raufeon Stots who is a Texas native by way of Milwaukee Wisconsin travels all the way to the Tropicana in Atlantic City, New Jersey when he takes on reigning national bantamweight champion, Merab Dvalishvili. For Stots, this is a business trip as he only has one objective, to win this title. When asked about Merab, Stots says he’s a decent fighter but nothing he hasn’t seen before. “[I] haven’t seen much about him,” said Stots. “Couple things I know. He’s tough, he’s a good grappler, decent striker. I’m just better at everything he’s good at,” he continued. Some strong words but when you carry an unblemished record of eight wins again zero losses, you can carry strong words. Stots is a 2x NCAA DII National Champion in wrestling and the current Victory Fighting Championship BW Champion. 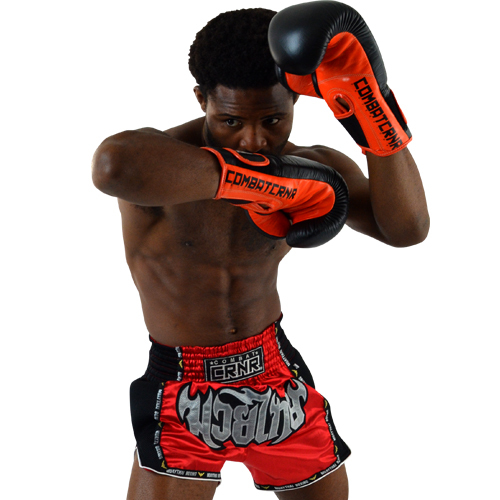 He trains at the famous Roufusport Mixed Martial Arts Academy under Duke Roufus, Scott Cushman, Daniel Wanderley and Joe Nichols. Merab Dvalishvili vs Raufeon Stots take place at Friday, June 2nd at the awesome Tropicana Showroom in Atlantic City, New Jersey. ROC 59 is stacked from top to bottom with five title fights. Tickets are available online at the ROC website, the Tropicana box office or any TicketMaster outlet. ROC events have a history of selling out so get your tickets today!